Having recently released cleated versions of Air Jordans 6 and 12, the Jordan Brand may have the 7 on deck. 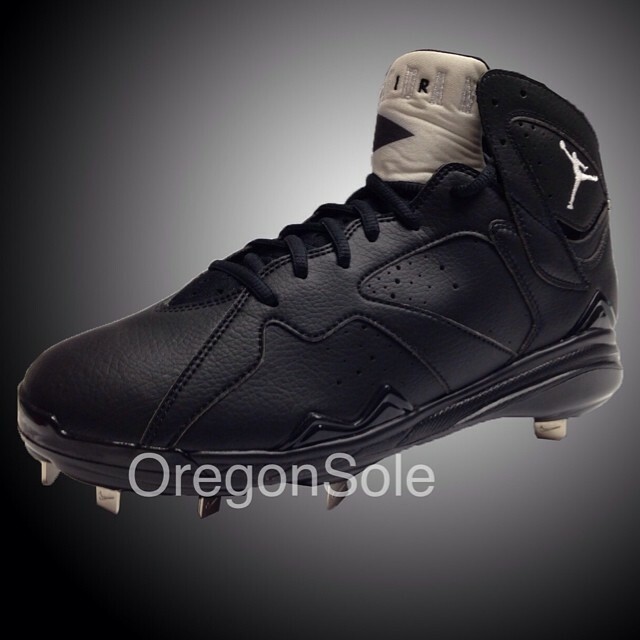 Below is a look at what is believed to be an Air Jordan 7 baseball cleat releasing later this year. The cleat features a black tumbled leather upper, contrasting white accents and metal spikes. There's no word on a football version at the moment.